Twelve countries were importing petrol and diesel at cheaper rates from India, Congress said. Congress leaders Sunday urged the people of Gujarat to make Monday's Bharat Bandh a success and accused the centre of revising excise duty on petrol and diesel twelve times leading to a sharp spike in their prices. "Fuel prices can be reduced if the government includes it under GST. The government has earned over Rs 11 lakh crore through taxation on fuel," Mr Shinde said. "The government has power to reduce prices. It appears the government lacks co-ordination with oil companies which has resulted in the rise in prices of petrol, diesel and cooking gas on a daily basis," Mr Shinde claimed. 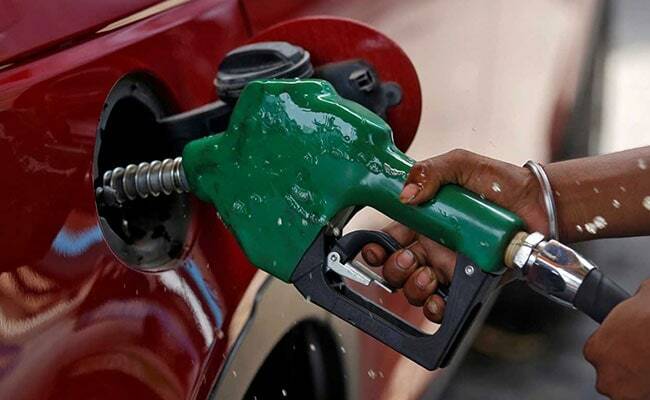 "Since May 2014, excise duty on petrol has gone up by 211.7 per cent, on diesel by 443.06 per cent. Central excise duty was revised upwards 12 times," Mr Satav said.